Patriots ring ceremonies are probably one of my favorite things to write about in the offseasons following a Super Bowl win. The last ring ceremony produced so many great moments, and this one was no different. First, the Patriots may be the best trollers of all time. Their rings have 283 diamonds in them, a nod to the 28-3 comeback in Super Bowl LI. It's even funnier when you find out the NFL paid for these. Welcome to the family! Tap the link in bio for more 📸! They also got Atlanta-based rapper Gucci Mane to perform. I don't know if I'd have been able to stomach that if I were him, but the payday was probably worth it. Second, Tom Brady was all over the place. Third, I miss Martellus Bennett. Tom Brady had fun at the Patriots' ring ceremony last night. He also knows the words to "Nuthin' but a 'G' Thang"
. 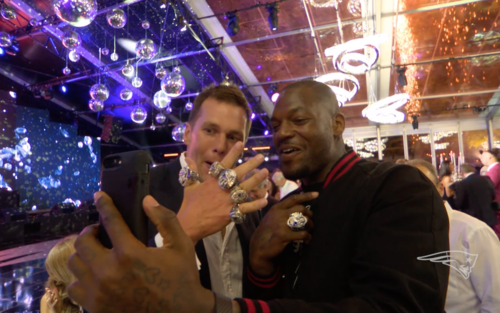 @MartysaurusRex was happy to show off his Super Bowl ring. Snoop Dogg, a Steelers fan, was there too. He was wearing a Patriots hat. So much for loyalty. Tonight's special guest performers: @snoopdogg & @laflare1017! 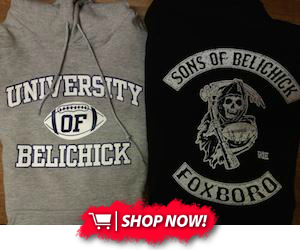 And finally, Bill Belichick trolled himself in the greatest way possible.